These two certainly sell one on the artist! 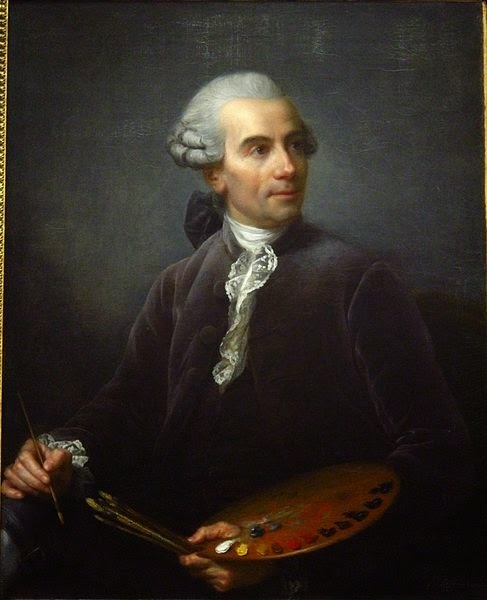 I love his work,he is one of my favourite eighteenth-century artists. Very beautiful -- strong and violent with very lovely coloring that speaks to me. Is it a place that is familiar? I'm not 100% sure; I will update if I am able to find out! Thank you for introducing me to these pictures, which I had not previously seen. Much appreciated! The tranquil scene owes much to Claude Lorraine, I think, and the classical temple on the left resembles that at Stourhead, I suspect the location is a compilation. 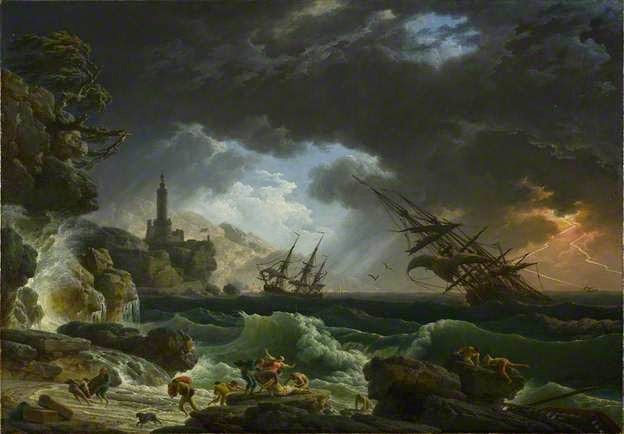 Vernet certainly knows about ships! Thank you for visiting! I'm intrigued by the thought of this being a location fashioned from several rap influence and think I might have to do some digging on this! 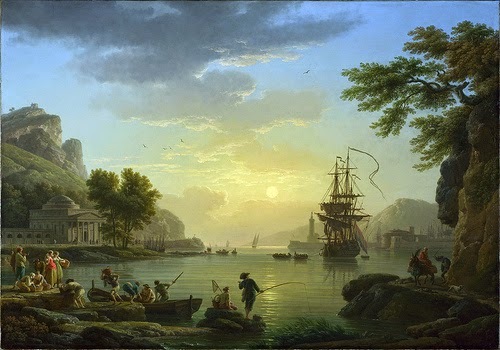 A much under rated artist today but very sought after by British and Irish Grand Tourists in the eighteenth century.To the best of my knowledge there hasn`t been a single work on Vernet published in the English language since 1976. I believe you're right; he really was a wonderful artist, I do hope someone will fill that scholarly gap!